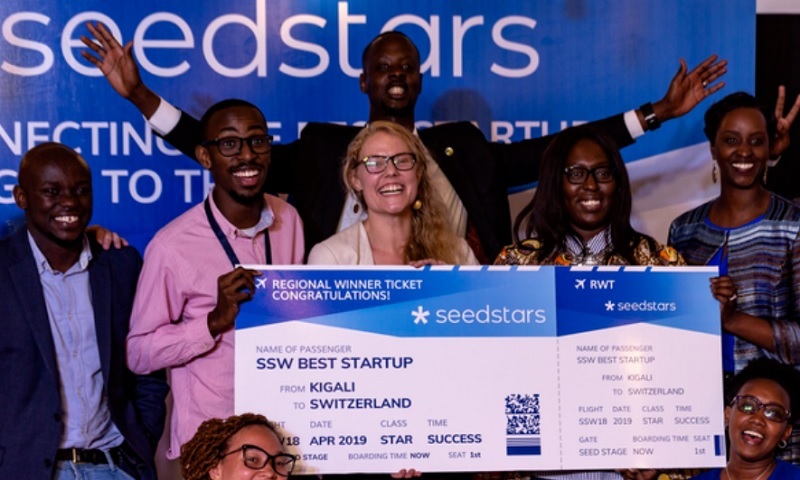 Factoring startup Benefactors has been named winner of the Rwandan leg of the Seedstars World startup competition, and will now pitch at the global final in Switzerland next year for the chance to win US$1 million in equity investment. Seedstars is back on the road following the culmination of the last edition of the competition in April, which was won by Ghanaian startup AgroCenta. African selection heats have already been held in Egypt, Tunisia, Zimbabwe, Morocco and Ghana. Nine startups were selected to compete at the Kigali-leg of competition on Friday, July 20, which took place at local hub Westerwelle Startup Haus, with support from kLab. Factoring startup BeneFactors, which offers specialised financial services helping firms to shorten their cash cycles, was named the overall winner, and will now represent Rwanda at the global final in Switzerland. “We are extremely proud and honoured to have been selected the best tech startup in Rwanda by Seedstars World, amongst a group of nine really good startups. We’re headed for the African regionals by the end of this year and the global pitch competition in Switzerland in April 2019 – not to mention the incredible journey we’re about to embark on with the Seedstars community of global tech leaders and innovators across the world,” said Olivia Zank, Benefactors’ chief executive officer (CEO) and co-founder. The other startups that took part were student recruitment platform BAG Innovation, artificial intelligence solution for the blind BLAIVA, solar startup Comparisol, freelancing platform eJobu, bus ticketing app Favouriapps; event ticketing solution Raisin Ltd; ed-tech platform the Einstein, and TIVA Motos, an e-commerce app for motorcycle taxi drivers.